Gently cleanse and sooth your skin, creating a youthful glow with this natural and organic cleanser from Green People. As part of the Age Defy+ range, it is specifically designed to target wrinkles, age spots and cell break down to keep your skin feeling young and looking fresh. Made without any nasty chemicals including SLS, parabens and preservatives, this cruelty free formula is enriched with jasmine, myrrh, neroli and ylang ylang along with 14 beauty enhancing actives to prevent dryness, improve elasticity, rejuvenate skin and stimulate cell renewal. To Use: Apply warm muslin cloth to the face and neck. Warm the balm between your hands before massaging gently over the face and neck then remove with warm muslin cloth. Finish by rinsing the cloth in cold water and pressing gently over face and neck. Elaeis guineensis (palm) oil*^, helianthus annuus (sunflower) seed oil*, perilla frutescens (perilla) seed oil*, cocos nucifera (coconut) oil*^, cera alba (beeswax)*, simmondsia chinensis (jojoba) seed oil*, rosa moschata (rosehip) seed oil*, punica granatum (pomegranate) seed oil*, vaccinium macrocarpon (cranberry) seed oil*, aroma [cananga odorata (ylang ylang) flower oil*^, citrus aurantium dulcis (orange) flower oil*, commiphora myrrha (myrrh) oil^, jasminum officinale (jasmine) flower extract*], tocopherol (vitamin e), benzyl salicylate*, geraniol*, eugenol*, benzyl benzoate*, farnesol*, citral*, linalool*, limonene*, benzyl alcohol*. *99.7% organic, ^fairly traded. The Green People Age Defy+ Cleanse & Soothe Balm - 50ml product ethics are indicated below. To learn more about these product ethics and to see related products, follow the links below. 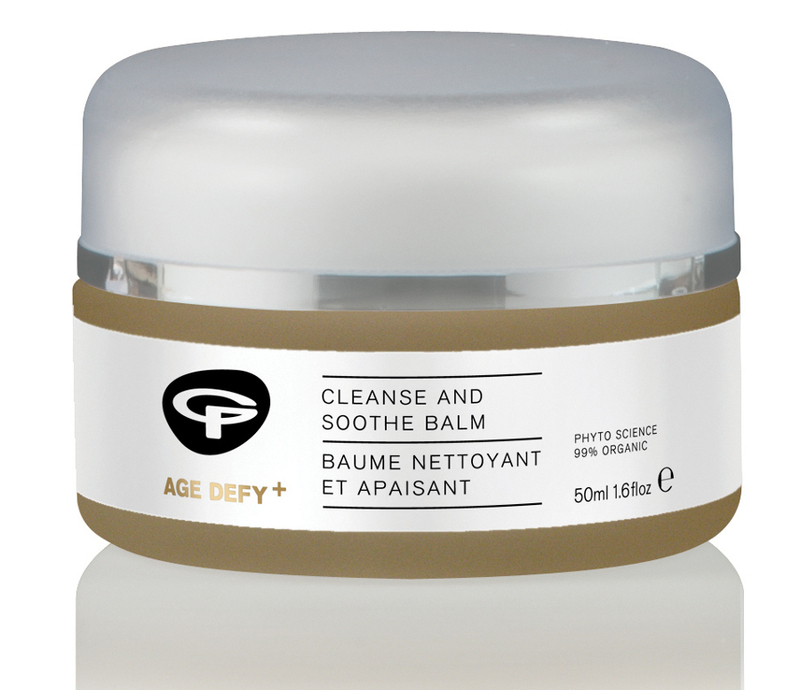 There are currently no questions to display about Green People Age Defy+ Cleanse & Soothe Balm - 50ml. Green People produce a range of fabulous, truly natural and organic beauty products and organic skin care, body care, hair, beauty and baby products to help you look after your body the natural way. From organic sun lotions and moisturisers to deodorant, Green People offer a superior range of health and beauty products suitable for all ages. Green People use plant based ingredients, with powerful and gentle properties, working wonders on your skin. Green People will never use aggressive ingredients or synthetic chemicals such as sodium lauryl sulphate (SLS), parabens, phthalates, petrochemicals, alcohol (ethanol) or synthetic fragrances or colourants, and to never test on animals.